This super type would suit someone who would like to do a bit of everything, because Roly has been there and done it. Ridden by an amateur, he's been my dream horse. In the 6 years I've owned him we Qualified for AMEC Dressage Championships at Novice level, and are working at Elementary now. He loves eventing, and we came 2nd at Elmwood ODE 100cm class and 5th at Broadway Hunter Trials '17 Novice level (110cm) He is a XC machine and takes everything in his stride. This horse loves his job and is brave and honest and wants to take you with him. Perfect to hack out in traffic and often acts as schoolmaster to my young horse. Hunted in Staffordshire by his previous owner and would love to hunt again or Team Chase. Super easy to do in every way. 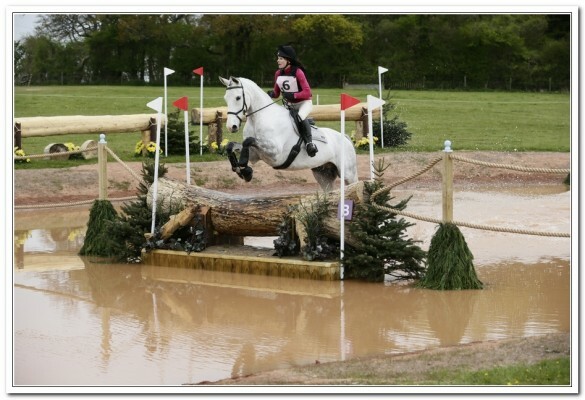 Ideal confidence giver for someone wanting to develop their eventing career. Fit and ready for anything. No vices.